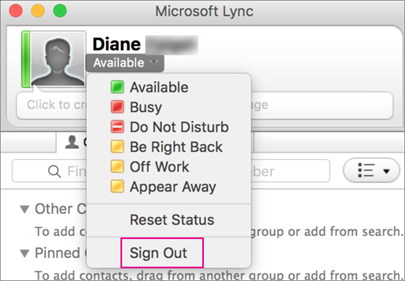 You can uninstall Lync from your Mac so you don't see it on your Dock in a few easy steps. To remove the Lync icon from your Dock, sign out of Lync. Close the Lync sign in page. Press Control and click at the same time. Choose Quit. Open Finder > Applications. Scroll to Microsoft Lync. Drag and drop it into the Trash.